Players may train in one of three schools of Magic on Atlas: Elemental, Holy, or Unholy. Each school of magic has its own unique array of spells, only available to mages who have studied in that type of spellcasting. However, there are several General Spells that all mages have access to, regardless of school. To begin studying the ways of magic, speak with Archmage Rholla at the Arcane Tower in Nauru. There is a preliminary questline that will give you the opportunity to test each school's spells, followed by the choice of which school of magic you'd like to train in. Once a player has chosen to train in a particular school of magic, it will cost 1,000g to change to a different school of magic. While training in a particular school, players may only advance and buy wands of their chosen magic type. 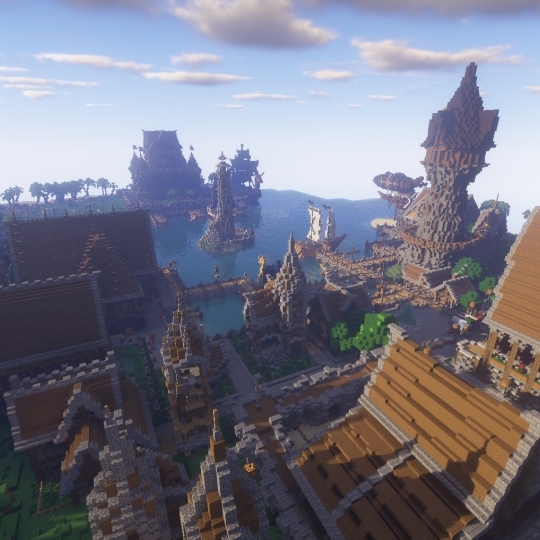 Upon choosing a school, players will embark upon a unique questline (starting in Nauru, and eventually taking them across the world) to train and unlock the arsenal of spells at their disposal. All spells cost a certain amount of "mana" to cast. Your mana is your experience bar! Gain levels with vanilla methods like killing mobs, as well as custom methods like eating Cooked Foods that match your flavor preference! Players will lose 80% of their experience points when they die. However, players can bottle their experience and store it for later use! 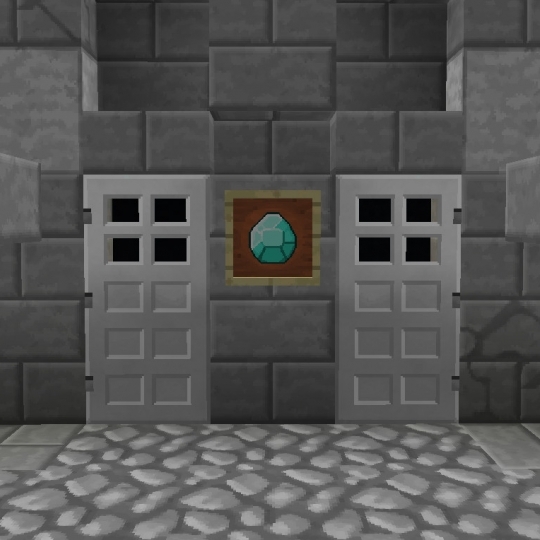 Simply right-click on an enchanting table while holding an empty bottle to store a small amount of your experience. All spells on Atlas are bound to Wands, which become unlocked for purchase from NPCs as players advance through their magic training. Left-clicking with a wand will cast the currently equipped spell. More powerful spells will have a longer cooldown. Players may only use wands belonging to their chosen school of magic, even if they are acquired from other players. General Spells are base spells that all players trained in magic (regardless of their school) may cast and purchase wands for at the Arcane Tower in Nauru. The Shen are the purveyors of Elemental Magic on Atlas. Focusing in direct damage and utilitarianism, elemental mages enjoy offensive capabilities as well as a unique grasp on natural elements. Disciples of Elemental Magic will begin their training with Priestess Aki in Nauru, and continue with Archmage Wei Zhengyi in Shen Zhengyi. The Valderkal are the purveyors of Holy Magic on Atlas. Focusing in healing and survivability, holy mages have a useful arsenal of curative spells at their disposal. Disciples of Holy Magic will begin their training with High Templar Vargoth in Nauru, and continue with Templar Orgara in Yukrovia. The Arkayo are the purveyors of Unholy Magic on Atlas. Focusing in debuffs and necromancy, unholy mages have a dangerous arsenal of curses and life-sapping techniques at their disposal. Disciples of Unholy Magic will begin their training with Devereaux in Nauru, and continue with Syrio at The Wraithhold.